Tattoos that in ancient times used to mark the prison population, is now expanding to the style and beauty. Some people also believe tattoos particular image affects luck. 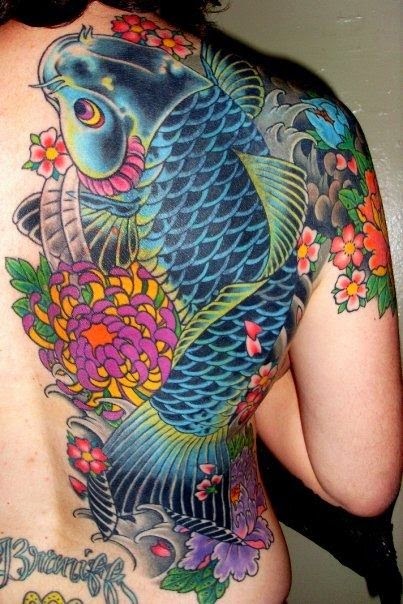 Such as koi fish tattoo is considered the epitome of hockey. Tattoos are generally dragons, skulls, flowers, symbols specifically, and initials. Any type of tattoo pictures have multiple streams, ranging from tribal flow form and graphic motifs of ancient Europe, oriental represent images Asia and old school, old school or the term is synonymous with timeless images like skulls. 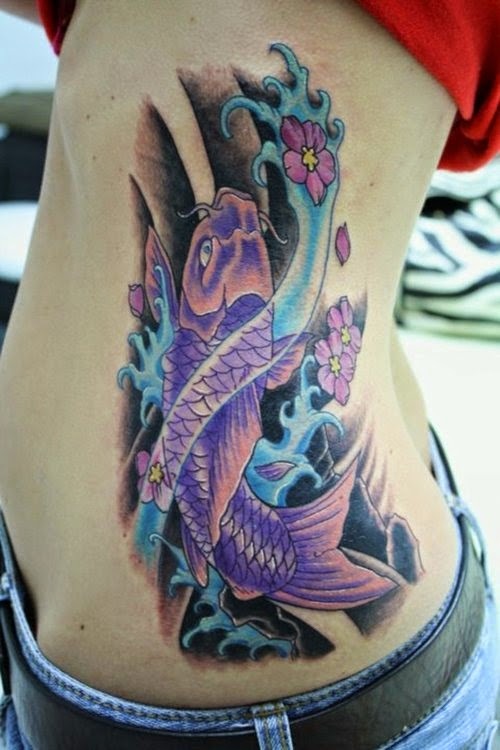 Trust is not the only one that affects people's awareness Koi tattoo lovers. But there are three other factors that affect this belief. These factors are knowledge of koi, koi accompanying myths, and daily life events experienced by the people who believe. Once the Chinese legend, koi trying to go against the flow of the river upstream of the river Huang Ho to become the Dragon. Because it manages to be a dragon koi, koi no wonder it has always been associated with good luck, hard work, success, and prosperity. The belief that the koi bring luck derived through tradition that makes people believe and interpret the moral of the story of the koi. Iman Santoso, Didymus, and Djohan Samuel Nangin are some people that. Koi sticking in them as if they always remind struggle koi fish trying to become the Dragon. So even with people other than those who sacked koi on his skin. They strive and work hard to achieve success.